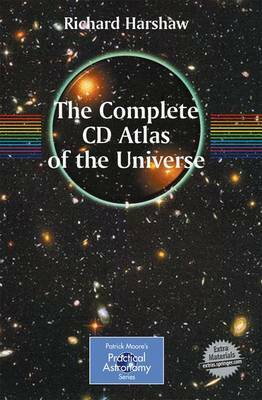 This is the largest and most comprehensive atlas of the universe ever created for amateur astronomers. With finder charts of unprecedented detail, in both normal and mirror-image views, and an extensive list of 14,000 objects, it provides a detailed observing guide for almost any practical amateur astronomer, up to the most advanced. Spanning some 3,000 pages, this is a project that is possible only on CD-ROM. The CD-R pages are extensively indexed and referenced for quick location of objects. The accompanying book gives an introduction to the Atlas, showcases the maps, describes the CD-R content and organization, and includes various appendices.